The last 12 months have been a study in fake news, ransomware, hacking, allegations of media manipulation and malicious interference in public and private lives — all via the Internet. In such a scenario, it is quite understandable that parents and school administrators are worried about cybersecurity in schools. As we progress deeper into digital education and more connected devices are used by students for regular lessons, they not only need protection from malicious cyberthreats and criminals, but they also need cybersecurity-related education. It is interesting to note how both state and federal governments unanimously agree on the necessity of cybersecurity training. To this end, new curricula — including specialized skills in cryptography, network engineering, software development, advanced mathematics and computer science — are being devised. While keeping pace with rapidly changing technology is tough, incorporating the above disciplines can go a long way in overcoming the challenges. Emerging "cyberliteracy" courses blend robotics and computer programming with civics lessons as well as hands-on learning in internet threats, cyber law and ethics. A new report from the Institute for Critical Infrastructure Technology (ICIT) suggests that while schools face a high risk of cyberattacks, they also provide a solution for the large workforce: the next generation of cyberpolice in training. 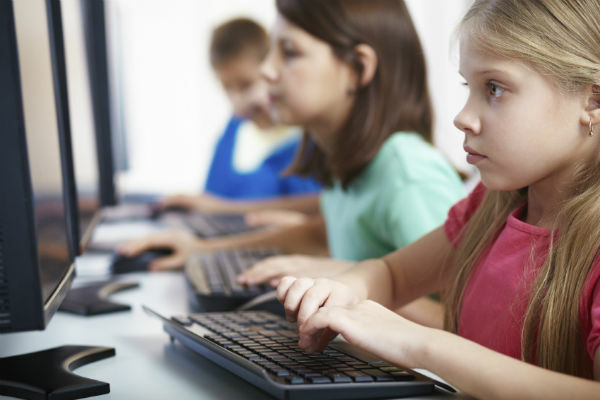 Educating K-12 students in all aspects of cybersecurity is the perfect solution to deal with the increasing threat of cybercrimes that face not just schools but society. But the challenges are many. The ever-changing cybersecurity and technology landscapes make it difficult to keep up with the crimes. Teaching students about proper online behavior and digital privacy, along with the essentials of cybersecurity can curb cybercrime to a certain extent. Resources and budgets need to be increased, and more students must enroll for cybersecurity training. Virginia-based research and counsel consultancy, EdTech Strategies, has recently released a K-12 Cyber Incident Map, which shows that at least 105 cases gave been reported for breach of student personal information from January 2016 to March 2017. With every new development in "internet of things," new cybersecurity concerns arise. Since technical knowledge is an intrinsic part of digital training, it needs to be a part of the curricular form day one. Along with this, schools must develop a stronger and more impenetrable cyberdefense system. This should help protect everything from student information and usage to testing details and results. It is, therefore, no wonder that IT training and mobile learning related to cybersecurity has quickly become a priority. Along with increasing funding for eLearning and devices, schools across the nation are also looking at increased funding to educate students on cyber threats and how to combat them. Along with regular courses, there are also initiatives like the NSA summer camp curricula that are designed to encourage cybersecurity careers. These camps are meant to encourage girls into pursuing these challenging careers that also target boys and focus on improving teaching methods for STEM subjects. According to the NSA, we are facing an acute shortage of cybersecurity professionals. In the face of increasing cybercrime, this is scary indeed. To meet this yawning gap between demand and supply of trained professionals, empowering students with the knowledge seems fair enough. This will help students understand correct and safe online behavior, encourage an interest in cybersecurity and related careers, and most of all go a long way to aid in national and economic security.